Kansas City Chiropractor, Zach Kadolph DC focuses on the spine and nervous system's relationship to overall health and the functional performance of the body. At Select Chiropractic, we adjust the spine and add other supportive measures like physical therapy, nutrition, therapeutic massage, and neurological rehabilitation to treat various ailments and dysfunctions. Whether knowing or not, many Kansas City and Overland Park, KS residents visit Dr. Kadolph regarding subluxations. Subluxations are when our spinal joints stop moving properly, begin to degenerate and become inflamed. This causes our spinal joints to send stress signals to the brain that can lead the brain to release cortisol (the stress hormone) and contribute to chronic stress physiology, this can sometimes but not always lead to headaches, neck pain, and back pain. Correcting subluxations turns stress signals to and from the brain into positive brain-body communication. It also reduces cortisol levels in your body, this will reduce pain, and put your body into a more relaxed state. This is how people achieve results with not only aches and pain, but symptoms like sinus congestion, acid reflux, constipation, colic in babies, and more. If subluxations are not corrected, this can lead to bulging discs, degenerative disc disease, and pinched nerves. 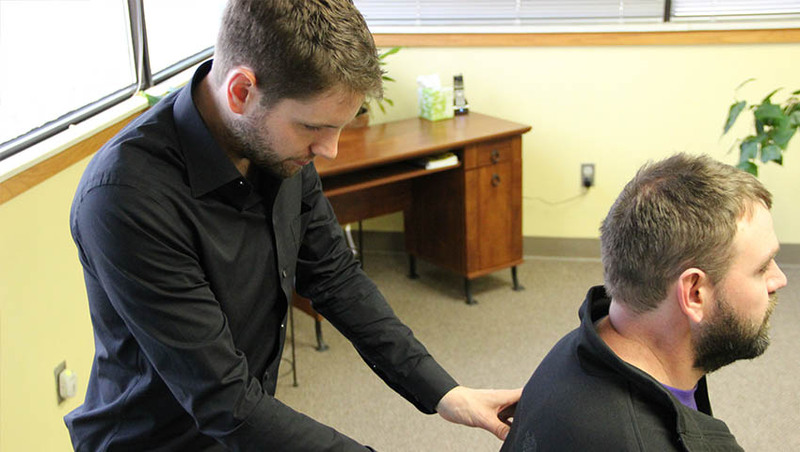 Restoring motion in the spine through manipulation by Dr. Zach Kadolph, reduces these stress signals to and from the brain, the stress hormone levels, and therefore decreases the overall stress load on the body. Not only do Dr. Kadolphs patients' pain levels drop, but often times find that other health problems improve or completely go away in as little as one visit! Dr. Zach Kadolph's goal is to reduce stress on the spine and nervous system to allow the body to run and regulate optimally! Call 913-825-3900 to set up your Complimentary Consultation and Exam with Dr. Zach Kadolph at Select Chiropractic - Kansas City today! Save time by filling out the new patient forms before you visit Select Chiropractic. Find out why Kansas City Chiropractor, Dr. Kadolph is so passionate about the local community's health and well-being. 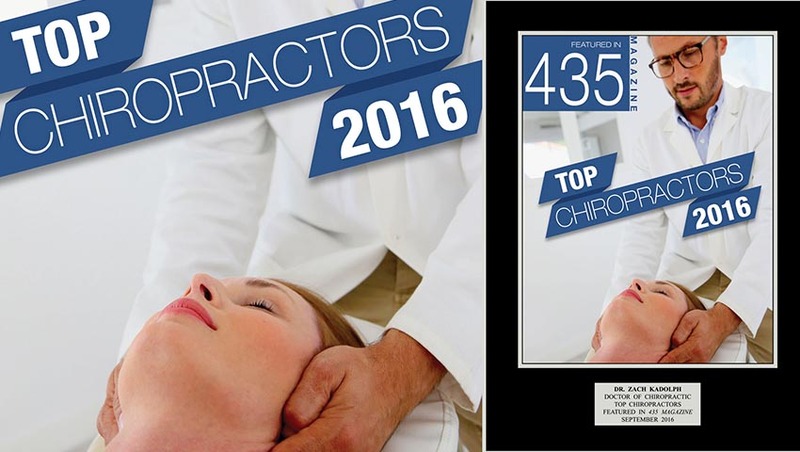 Overland Park’s Best Chiropractor – conveniently located near you! 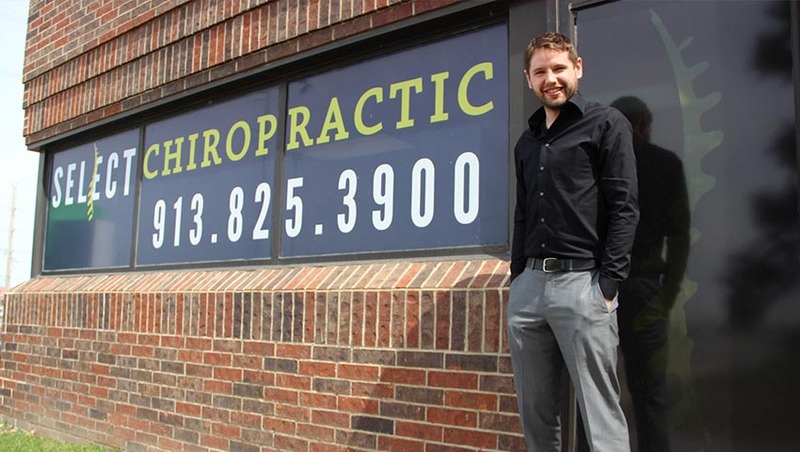 Located in Overland Park on 87th Street off 69 Highway, Kansas City Chiropractor, Dr. Zach Kadolph is only a short drive away from those residing in downtown Kansas City, Lenexa, Shawnee, Waldo, Merriam, Prarie Village, Brookside, Leawood, the Country Club Plaza and Olathe. Schedule your appointment today by calling 913-825-3900!